The resistance of paint protective coatings on steel is greatly influenced by the condition of the surfaces where the paint is applied. 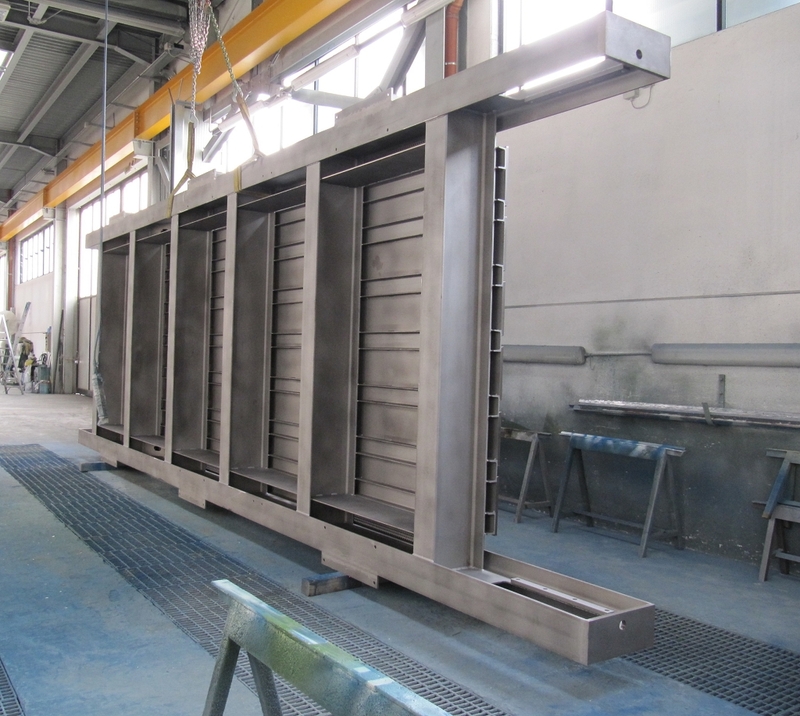 The sandblasting process is carried out with ferritic grit or other abrasive materials, depending on the work to be performed. It enables the removal of mill scale and of other impurities from the product, obtaining varius levels of cleanness, depending on our customer's requirements. The different grade of sandblasting affects the adhesion of the paint film. We have a sandblasting tunnel 14 x 5,5 metres x 4,5H where products with a maximum weight of 50 tons can be introduced using 2 bridge cranes.